Five new Making-Of documentaries for Castrovalva, Four To Doomsday, Black Orchid, Earthshock and Time-Flight. Surround sound mixes for Kinda and Earthshock. Extended Version of Black Orchid Part One. Rare studio footage from Castrovalva, Four To Doomsday, Earth shock and Time-Flight. Updated special effects for Castrovalva. Seven more editions of Behind The Sofa. A newly-shot one-hour interview 'Peter Davison In Conversation' with Matthew Sweet and much more. Davisons first full story though, "Castrovalva", is the weakest link of the set. Again it features The Master, and it follows the newly regenerated Doctor--in a very shaky state as he heads for the supposedly peaceful retreat of the title, only to find, as youd expect, that all isnt as it seems. Sadly, the premise isnt really realised, resulting in one of the more tepid stories of Davisons reign. The basis of Four To Doomsday is that the Doctor is trying to return Tegan back home, but instead finds himself on a strange spaceship, that almost inevitably is heading to Earth with unpleasantness very much on its agenda. The Doctor, accompanied by Nyssa, Adric and the aforementioned Tegan, naturally has to come to the rescue, aided by some very economic special effects (even for the time). Kinda - The TARDIS visits the planet Deva Loka, where Nyssa remains behind in the ship to recover from a mild mental disorientation while the Doctor, Tegan and Adric explore. Tegan falls asleep under some wind chimes and becomes possessed by an evil force, a Mara. When the (fifth) Doctor tries to take Tegan back to Heathrow Airport, the Tardis arrives in the 17th century instead of the 20th century. The time-travellers discover that a space capsule has landed nearby and its alien occupants intend to wipe out life on Earth by releasing rats infected with a great plague. The TARDIS arrives in the 26th Century in a cave system containing numerous dinosaur fossils. 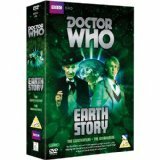 The Doctor's Party comes under suspicion from a military force, led by Lieutenant Scott, who are investigating the disappearance of a group of palaeontologists and geologists. They are all then attacked by androids - the true culprits - under the control of the Cybermen. The Doctor manages to deactivate a bomb intended by the Cybermen to destroy an imminent peace conference. He then follows the bomb's activating signal to an approaching space freighter, commanded by captain Briggs, on board which it transpires that an army of Cybermen are concealed. 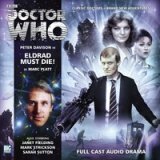 An attempt by Adric to thwart the Cybermen's plans result in the freighter being inadvertently sent millions of years into the past, where it explodes and causes the extinction of the dinosaurs - and also the death of Adric. The Doctor destroys the Cyber Leader be forcing into its chest unit some gold fragments from a badge previously worn by Adric. Two stories based around the character of Tegan, this union of Time-Flight and Arc of Infinity is an interesting double header for any Doctor Who enthusiast. 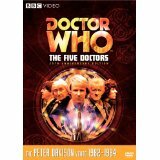 Both stories see Peter Davison in the title role. Arc of Infinity, meanwhile, takes the Doctor back into the midst of the Time Lords, only to discover that one of them has chosen him to be the victim of a strange creature. This creature can only survive by bonding with a Time Lord, and when the High Council of Time Lords rules that the Doctor has to be killed, the scene is set for an interesting mystery, that also sees Tegan fall into dangerous hands too. 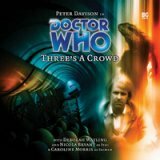 Three interlinked stories from the Peter Davison era of Doctor Who, the Black Guardian Trilogy brings together Mawdryn Undead, Terminus and Enlightenment, as the Doctor finds himself under threat from an old foe. The enemy in question, of course, is the Black Guardian of the title, who first appeared at the end of the Tom Baker Key To Time season. 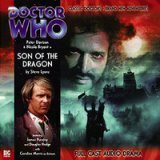 Across the three stories of the Black Guardian Trilogy, hes a constant background figure, instead introducing and recruiting Turlough to kill the Doctor on his behalf. 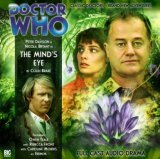 The three stories introduce Turlough as a companion eventually, but also marks a farewell for Nysaa. Each of the three stories has its merits, although Mawdryn Undead is hard to beat. It helps that it marks the return, after some time, of Brigadier Lethbridge-Stewart to Doctor Who, although by now we discover that hes a maths teacher. Not for long, though, as hes soon back into action, in a story thats one the Peter Davison eras finest. 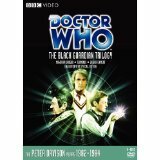 The Black Guardian recruits a young man named Turlough to assassinate the Doctor. Although outwardly an ordinary pupil at a boys' private boarding school, Turlough is in fact an alien who believes that the Guardian will return him home if he succeeds. The White Guardian warns of impending danger and directs the TARDIS to what appears to be an Edwardian sailing yacht, the SS Shadow, but is actually one of a number of spaceships taking part in a race through the solar system, the prize being Enlightenment. 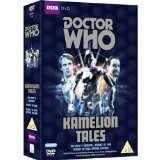 Kamelion Tales features two episodes of the classic sci-fi series featuring the Fifth Doctor, Peter Davison, and the shape-changing android Kamelion. In 'The King's Demons' (1983), the renegade Time Lord forces Kamelion (Gerald Flood) to pose as King John in 13th century England. 'Planet of Fire' (1983) sees the Doctor (Davison) and Turlough (Mark Strickson) arriving in Lanzarote on Earth to investigate the transmission of an unusual signal that turns out to be emanating from a mysterious alien artefact. The Awakening - The TARDIS has brought the Doctor Tegan and Turlough to the English country village of Little Hodcombe in 1984 where an alien war machine, the Malus, is affecting its inhabitants. A re-enactment of a civil war battle becomes dangerously real as the Malus gather sufficient psychic energy to re-awake. An irresistible force draws the TARDIS to the barren surface of Frontios, where in the far future the last surviving humans cower amongst the ruins of their wrecked spacecraft. Under constant threat from lethal meteorite bombardments, few of the doomed colony members realise that the ground of Frontios itself opens up and devours the unwary. Not permitted to assist, the Doctors attempt to leave is thwarted when the unimaginable occurs: the TARDIS is utterly destroyed. Resurrection Of The Daleks - The Daleks are once again seeking their creator, Davros (last seen in 'Destiny of the Daleks'), to discover a cure for the Movellan virus. Mercenaries free Davros from his prison ship, but the Kaled scientist has other ideas, and soon a Dalek civil war is underway. 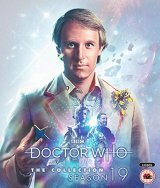 On twentieth century Earth the Doctor (Peter Davison), Tegan and Turlough are caught up between the rival factions and the Earth rebels, but they are already part of a larger plan to destroy Gallifrey. The Caves of Andozani takes place on the barren world of Androzani, where the Doctor and Peri find themselves embroiled in a long running underground war. Military troops mount an armed blockade whilst gunrunners bring in weapons for the sinister, masked renegade, Sharaz Jek. Meanwhile, lethal androids guard the caves, where a deadly creature lurks in the shadows, killing all in its path. At the heart of the conflict is a substance called Spectrox - the most valuable item in the universe...and the deadliest! Will the Doctor make the ultimate sacrifice to save his young friends life?